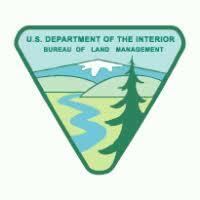 BLM Announces New Dates for Resource Management Plan Public Meetings. NORMAN, Okla. – The Bureau of Land Management (BLM) and Bureau of Indian Affairs (BIA) will host a series of public meetings to provide information, solicit input and answer questions about the Oklahoma, Kansas, and Texas (OKT) Draft Joint Environmental Impact Statement (EIS), Bureau of Land Management (BLM) Resource Management Plan (RMP), and Bureau of Indian Affairs (BIA) Integrated Resource Management Plan (IRMP). On Nov. 9, 2018, the BLM, Oklahoma Field Office, in coordination with the BIA, Eastern Oklahoma Regional Office, and Southern Plains Regional Office, released a revised land use management plan for the administration of Federal and Indian lands across Oklahoma, Kansas, and Texas. The amended draft plan addresses future land-use allocations; resource management actions; resource data and impact analysis; and the laws, regulations, and policies applicable to lands administered by the BLM and BIA. These meetings were initially scheduled for January 2019 but were postponed due to the government shutdown. MEETING TIME: 4:00 until 7:00 p.m. with a presentation at 5:30 pm and a question and answer period from 6:00 pm. The public is encouraged to review the OKT Draft Joint EIS/BLM RMP and BIA IRMP and provide comments, via the BLM ePlanning website below, during the open public comment period, ending March 24, 2019. For more information on the planning process, please contact Patrick Rich, BLM Oklahoma Field Office RMP Team Lead, at 405-579-7154.